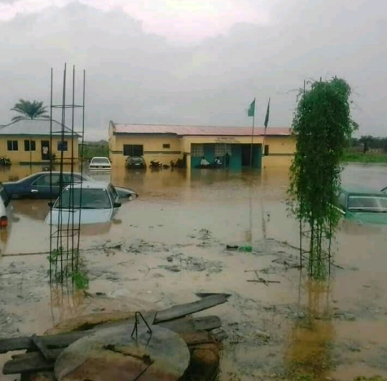 Flood submerged nigeria police station after an heavy rain fall in ilorin, kwara state. If these ones arent protected enough what then becomes the fate of the people looking up to them for coverage?? ?